I flipping love cartoons and it must be said that Rocko’s Modern Life was one of my all-time favourites. I probably explains why I am as weird as I am, when you have an Australian wallaby hanging around with a yellow cow in red dungarees, but it kept me quiet like. The socks have only come about after I noticed that he didn’t wear socks in the cartoon, so we made him something he’d like to wear. 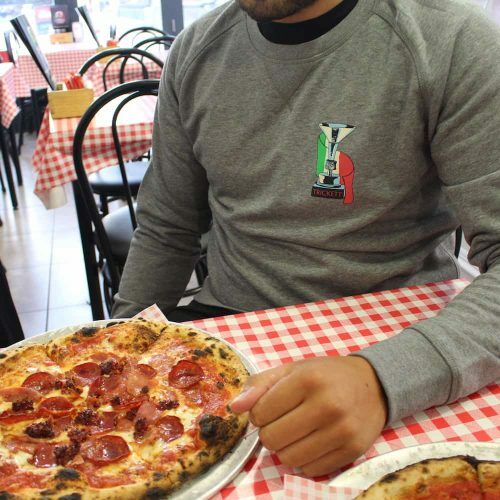 The socks are made in Italy by our very patient friend Marina. Every time we send her a message with what we would like making, she does a bit of a sigh, then cracks on producing our favourite socks. Each pair is inspected by Marina’s mum and then tied at the toe in pink thread to ensure that only the best socks make their way on to your trotters. The sock itself has a ribbed leg for extra comfort, a cushioned sole and contrasting toe and heel. 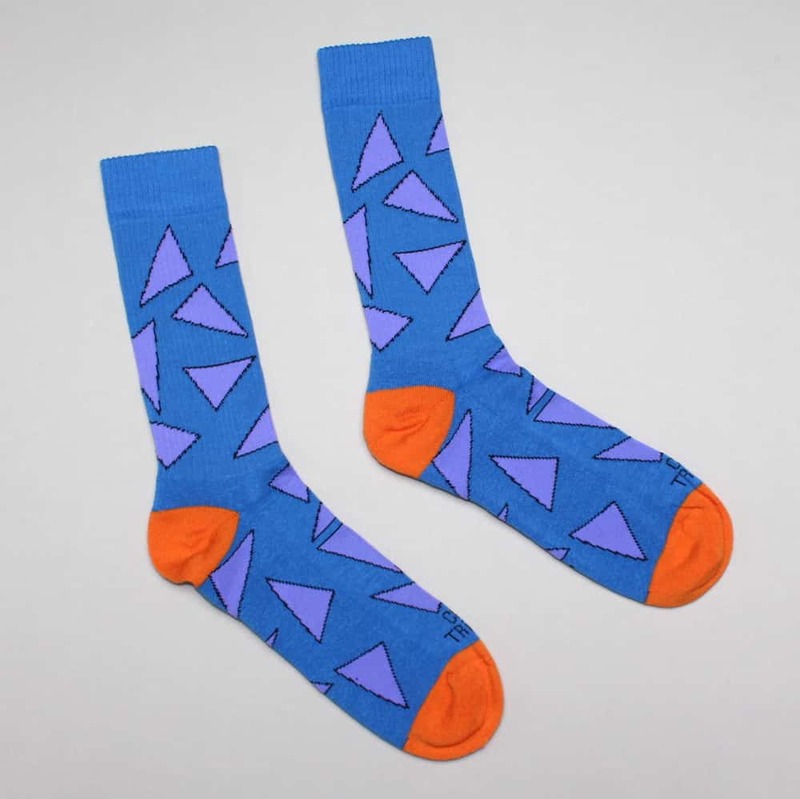 The socks come in a light blue with lilac triangles outlined in black to represent Rocko’s shirt and the orange to represent his shoes. When these socks are washed they will look like they have shrunk, but put them back on your lovely feet and they will stretch to size again.